Peterson spent this offseason looking for work, with conventional wisdom saying a running back of his age doesn’t have much left to offer. 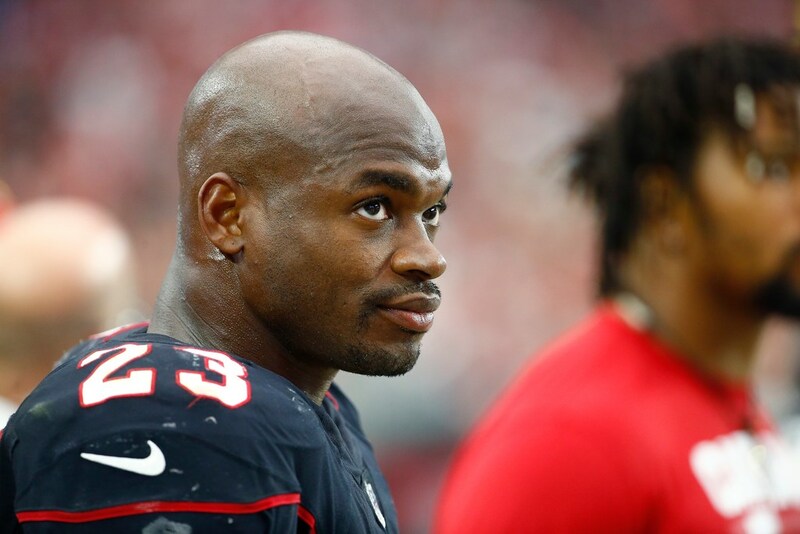 Adrian Peterson is about to join his third team of the last calendar year, according to a report from NFL Network. The former Vikings star, now 33, reportedly will sign a one-year deal with running back-needy Washington. Peterson, who was drafted by the Vikings in 2007 and spent 10 years here, signed with the Saints last year before moving on to Arizona midseason. He’s spent this offseason looking for work, with conventional wisdom saying a running back of his age doesn’t have much left to offer. Peterson last year struggled with the Saints but had a pair of 100-yard games in Arizona — including a 37-carry, 159-yard throwback performance. In Washington, Peterson figures to be the backup to Rob Kelley — but that is subject to change in a backfield in flux. Peterson is No. 12 on the NFL’s all-time rushing list with 12,276 yards, He needs just four yards to pass Marshall Faulk and 37 yards to pass Jim Brown to move into the top 10. It was a road game in Washington in December 2011 when Peterson tore his ACL, setting the stage for his epic comeback and 2,097-yard 2012 season. That will be his new home field.